yesterday morning Paige, Meredith, myself, and Diana, got up early and traveled down to boathouse row in philadelphia and ran the Free to Breathe 5k race. we all had a great time and agreed that this was going to be a yearly event for all of us. 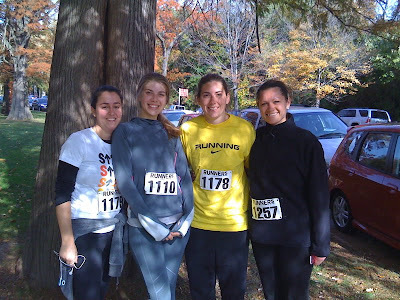 last year i ran by myself, but it was so great having my sister and friends be a part of this event. we ran in memory of my mom.